Don’t fancy a bus or a boat today, but you do want a super burst of adventure around the island? Well, time to saddle up, sit back and get on ya trike! Setting off at a very social 11am and lasting 2 hours, this puts paid to the excuses of those not wanting to get up early or commit a large part of the day… and is also something a little different which will add a bit of spice to your trip. 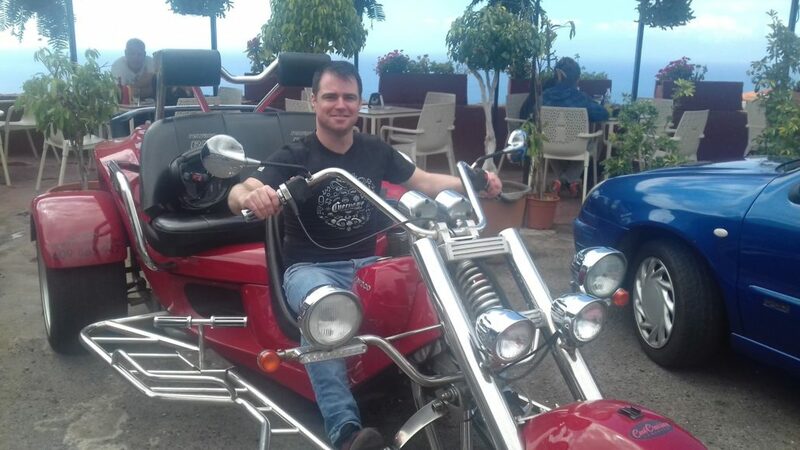 The Best Way to Buzz Around Tenerife! 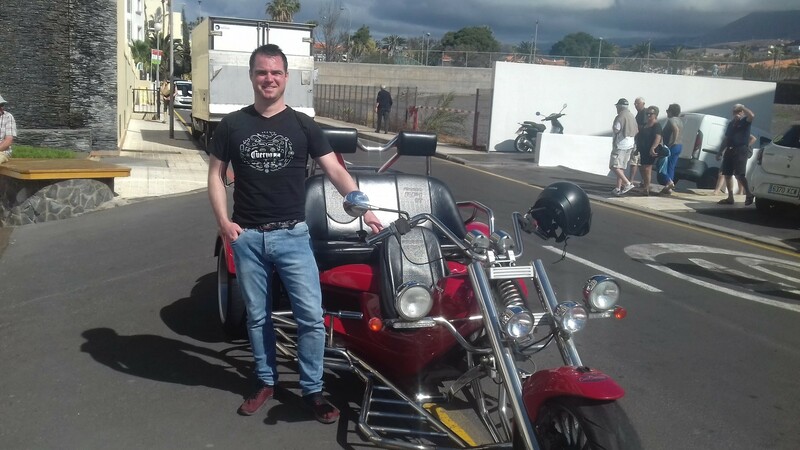 After meeting my new mate Campbell at Tenerife-Trike, we jumped on board outside the Pearly Grey ready to hit the open road. It’s a 2 seater trip and Campbell, a Scotsman and regular visitor, found himself next to me as his family weren’t involved on this particular ride. There was another couple joining us today on the other trike who we got chatting with later, but for now it would be an hour or so of cruising round the island, taking in the sounds, smells, sights and delights. Annetta, a lovely lady from Germany, was our driver making sure we were all settled and safely negotiating the twists and turns of our journey. Tip: remember to take something warm and wear it! It can get a bit cooler out on the open road and up in the mountains… certainly in March but it will be a warmer air during the summer months. If you haven’t already taken the bus trip around the west coast then you will see some great new scenery. If you have, you may recognise some parts but appreciate a whole new perspective. Being exposed to the elements gives a great feeling of freedom and fun and you have nothing more to do at this point then enjoy the ride, basking in the glory of all the envious onlookers wondering who these crazy people are and how they can get involved. 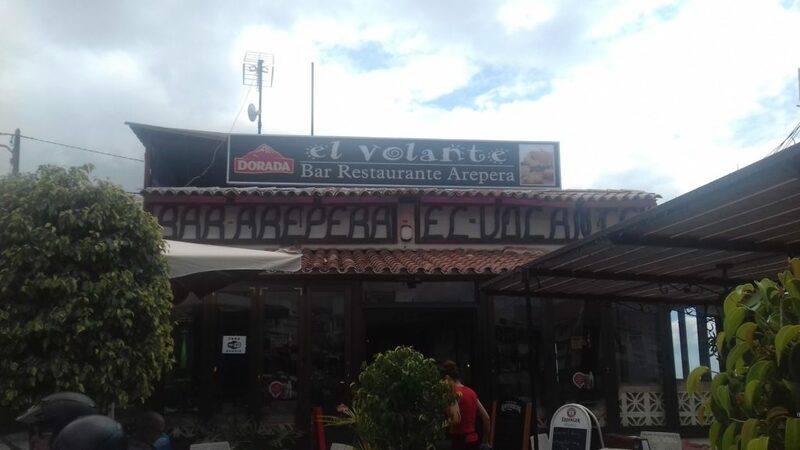 Included in the trip is an arepa at a great ‘Arepera’ on the homeward stretch. 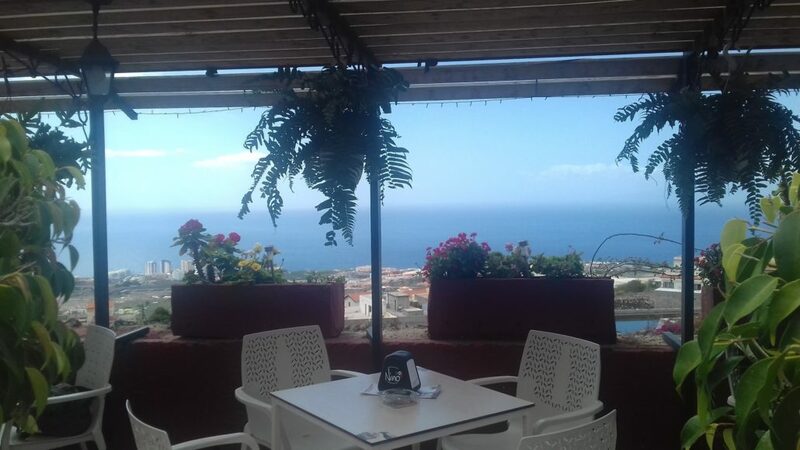 With pleasant views, friendly service and tasty food. I forgot to take a picture as I was too busy, you know, eating the thing (I’ll never make it as a food blogger) but here’s a stock image which gives you an idea if you’re unfamiliar. 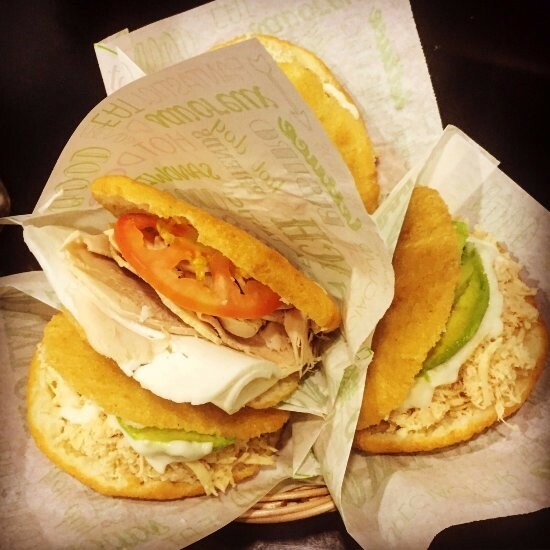 A type of sandwich of Venezuelan origin, I went for a chicken and avocado which was delicious and highly recommended. I could have quite easily wolfed down another or sampled a couple more flavours… but it’s a long walk back. We all sat around a table outside and it was a good opportunity to chat with the couple on the other trike who were also regular visitors. Both them and Campbell (and I believe some of their family too) have timeshare apartments at Pearly Grey so it’s always great to see people coming back and enjoying themselves. That just left another 10 minute stretch to get us back to base and get our feet back firmly on the ground and on to new adventures (or to find another arepa place, who knows). A ride definitely worth going on and I would gladly do so again. Simple, short, fun and different. A little more edgy but not too wild, it’s suitable for all and you’ll be a whole lot richer for the experience. You can also arrange to drive them yourself, so if you want to add a bit more zest, have a licence and are feeling up for the challenge then that would add a whole new layer to the adventure! Easy Rider or Dumb & Dumber? To find out more and to book your trip please ask at Pearly Grey reception or check out Tenerife-Trike.